Hey all! 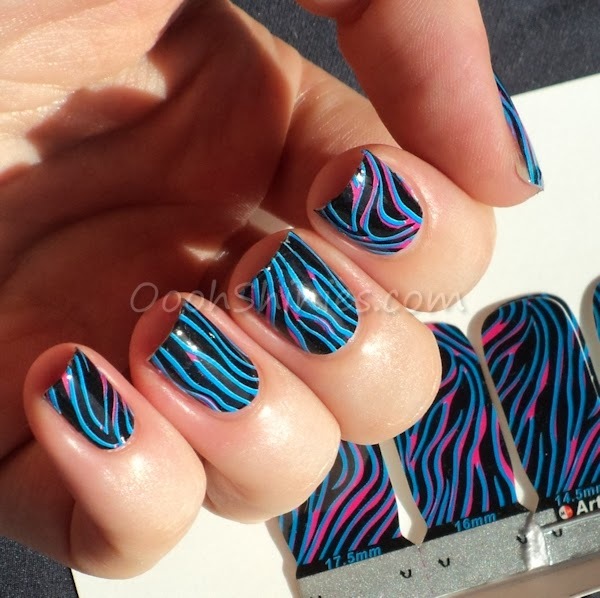 Last month I showed you the Love strips by OMGNailStrips, I also tried the Psychedelic Zebra strips but didn't post them yet, so today it's this zebra's turn! 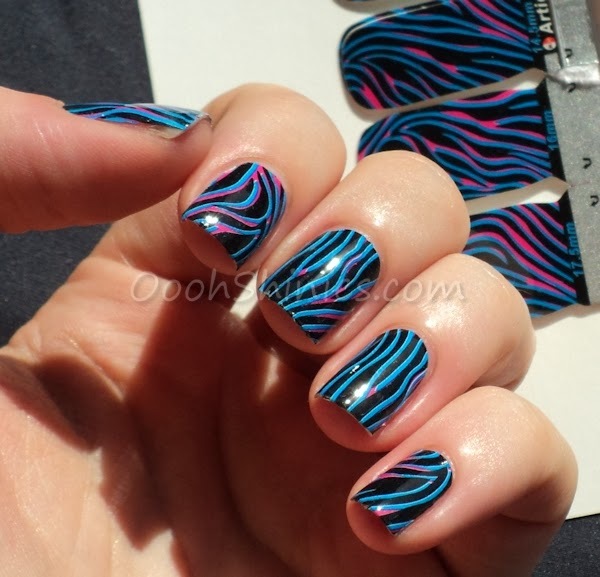 OMGNailStrips can be bought on their website, and you can check them out on Facebook as well. The strips cost $6,89 per set, but they now also offer a 4pack for $20 or a 10pack for $45.